Accessory maker 8bitdo has announced GBros. Wireless Adapter, a wireless adapter that supports GameCube Controllers for Nintendo Switch. The Wireless Adapter allows players to connect their wired GameCube controller to the Switch similar to how a Wiimote works. This is done by connecting the GameCube controller to the GBros. Wireless Adapter. The GBros. Wireless Adapter is powered by AA batteries and is compatible with both Nintendo Switch and Windows operating systems. 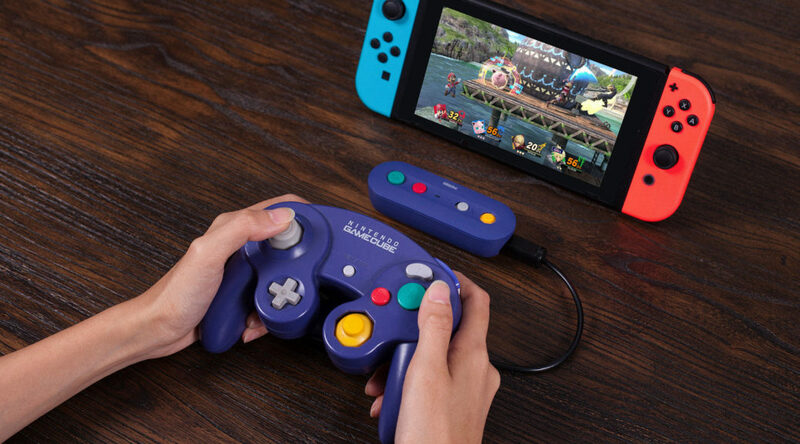 It’s fully compatible with original and reprint GameCube Controllers, NES Classic, SNES Classic, and Wii Classic controllers. Also included with the adapter are the HOME and capture buttons. Pre-order yours here (ships worldwide). Launches December 7.